Just Listed :: Gorgeous Traditional in Decatur! Welcome home! The open floor plan, custom features, and charming character of this home will never go out of style. The close proximity to I-285, Highway 78, and Memorial Drive makes it convenient to and from any direction. Being in this popular area also means you can enjoy many nearby restaurants and shopping spots! · Kitchen features granite counters, newer appliances, tile backsplash, pantry, ample cabinet space, and breakfast area. · Separate dining room is perfect for entertaining . · Large family room has a soaring ceiling and cozy gas fireplace. · Hardwoods floors are carried throughout most of the main level. · Master on main is a true retreat including a trey ceiling and oversized walk-in closet. · Master bathroom features a double vanity, garden tub, and separate shower. · Two car garage easily fits vehicles with extra space for storage. · A patio with pergola overlooks the fully fenced backyard and is perfect for outdoor enjoyment and entertaining. 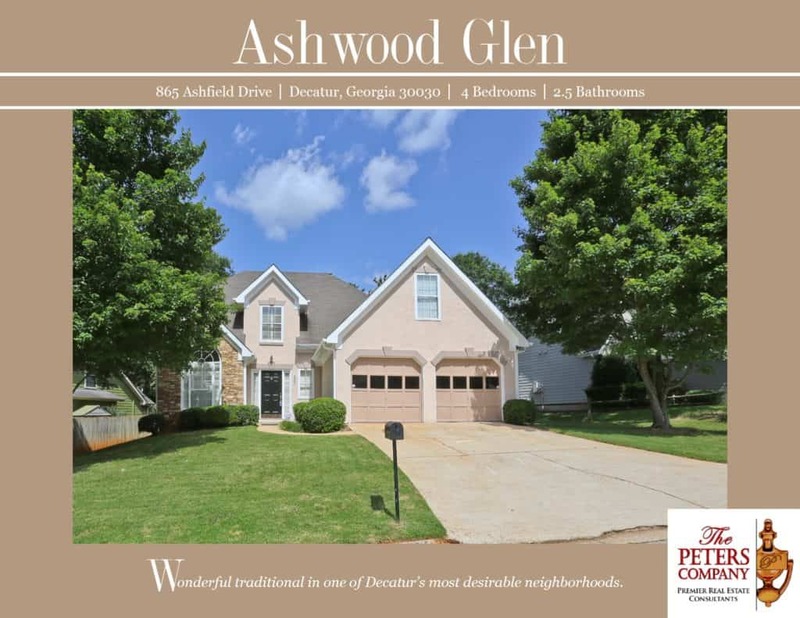 Call The Peters Company today to see this wonderful home at 865 Ashfield Drive… 404-419-3619! ← Just Listed :: Awesome Condo in Freedom Heights!